I love anytime we get new books in the room. 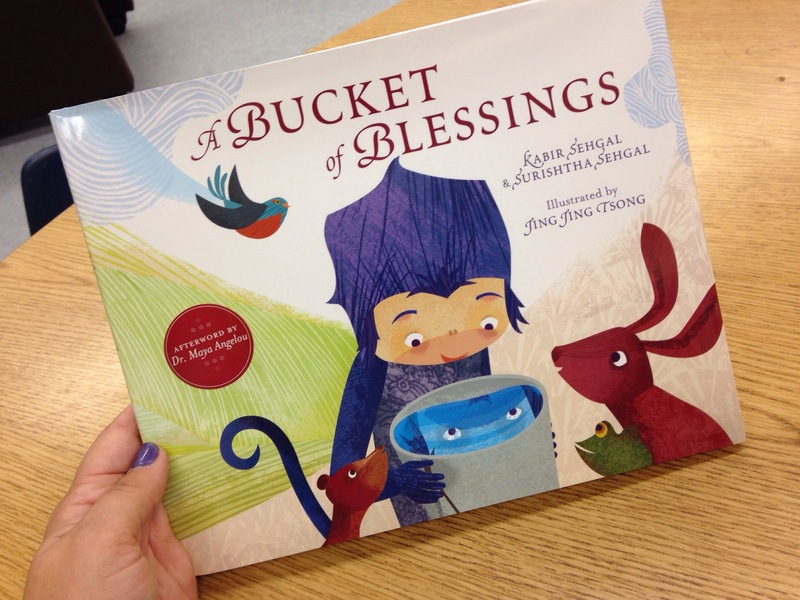 I don’t think that feeling will ever get old, so when I was asked to review – A Bucket of Blessings by Kabir Sehgal and Surishtha Segal (mother and son) – I absolutely said yes. I love being able to share a new book with the kids and get them excited too. I even bring it in still in the envelope from the “author” because he knows our class is so special. This came at the perfect time because we were able to compare the animals in our science unit to the animals in this book. Fiction/Non-Fiction… and something that they can always grab on to no matter how young…is if animals are talking to each other…it’s got to be FAKE. FAKE means FICTION. Yes, we are super excited about that fact. 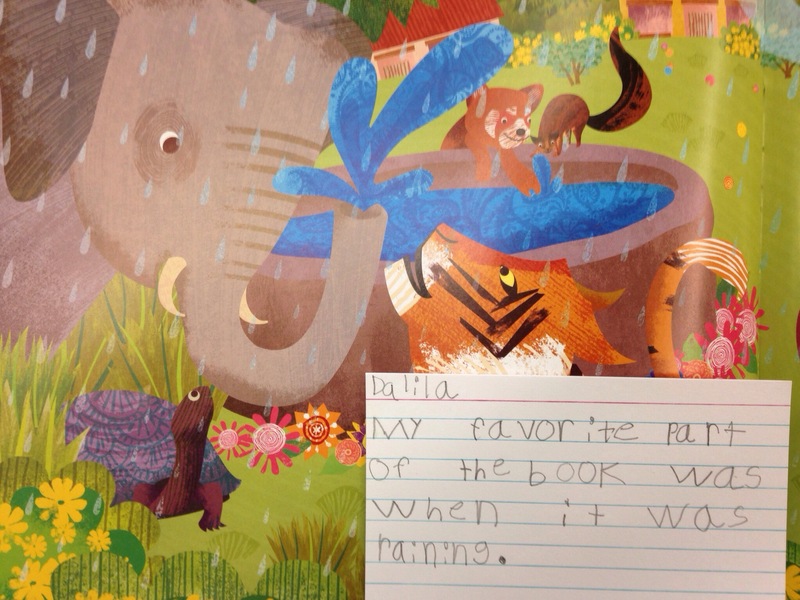 After sharing the book with the class, we were able to talk about our favorite parts of the book. I wanted to share a few with you along with the beautiful illustrations. 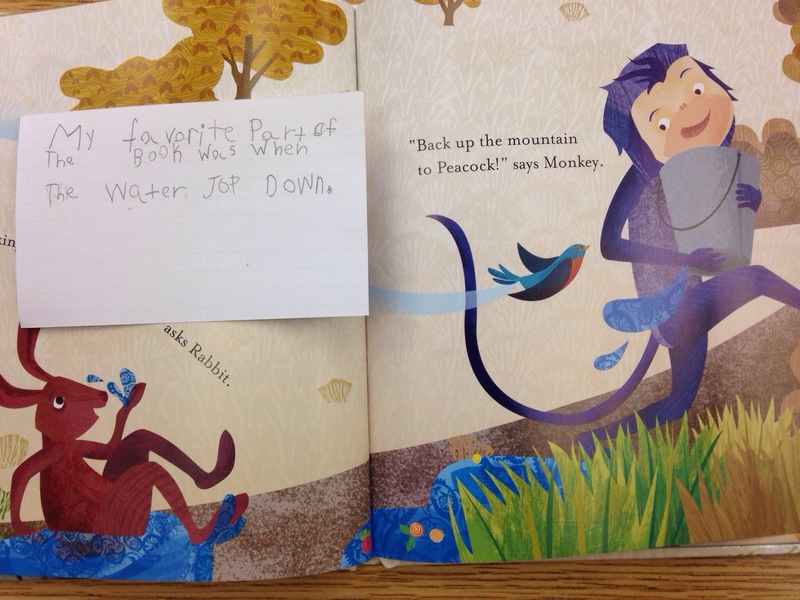 I know you are wondering what MY favorite part of the book is… well… as I was reading, the kids were trying to warn the monkey that he was spilling the water…they seemed really concerned and couldn’t understand why he couldn’t see what he was doing. It was kinda adorable. Another great thing about this book is that the authors, Surishtha Sehgal and Kabir Sehgal, are donating a portion of the proceeds to charity: water, (www.charitywater.org ), an organization that provides clean drinking water to communities in developing nations. Something you can feel good about. 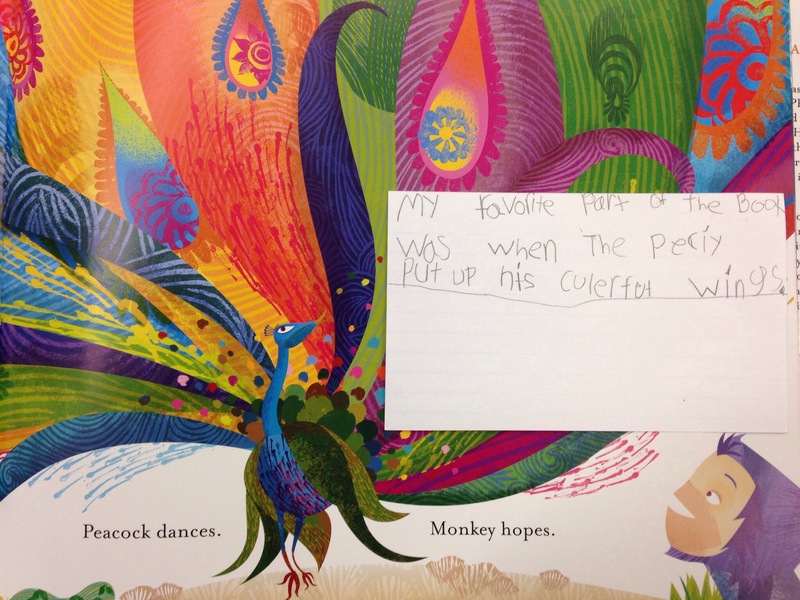 Overall we give this high fives all around and it has found a permanent home in our class library. Aren’t the illustrations great? 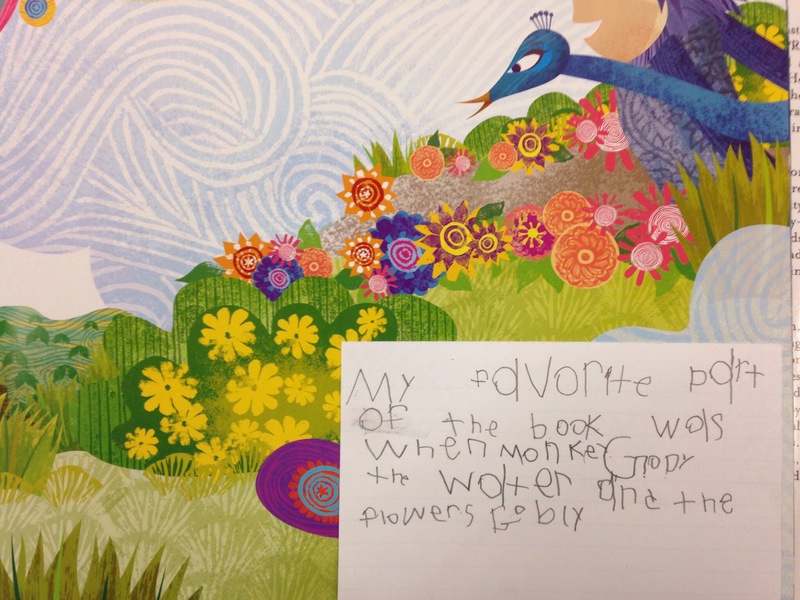 I wish I could draw…maybe I’ll be a book illustrator when I grow up. I USED TO SAVE THEM NOW I THROW THEM AWAY. IT REALLY IS A SAD PROCESS!